Abhinaya Dance Company is dedicated to propagating the cultural heritage of India through instruction and performances of Indian classical dance, primarily Bharatanatyam. The company nurtures the development of dancers through a structured arts education program and professional performing opportunities. The company also strives to expand the traditionâ€™s expressive range through innovative programming and collaboration with other artists. 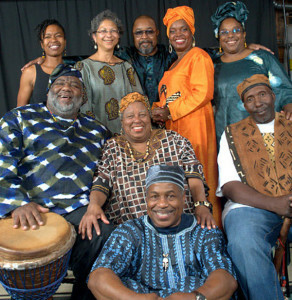 Akoma Arts formed in 2011 is a 501c3 Non-Profit organization under the fiscal sponsorship of The San Jose Multicultural Artist Guild (SJMAG), provides a wide array of Musical and Artist services in the South Bay related to African Drumming and community service is at the core of our mission and vision. Akoma Arts sponsors two African (Afro-Fitness) Dance Classes per week, Thursday evenings at the Alma Community Center and Saturday mornings at the Hoover Community Center. We have also been very active in the schools, supporting cultural school assemblies, events and fairs of all kinds and for all grade levels with African drumming, dance and storytelling, African American Folksongs, Spirituals as well as Storytelling.Lastly and most important in our hearts, we have been working with several doctors at El Camino Hospital to provide Drum therapy for stroke and other patients regaining coordination and full usage of the limbs and brain function. Our services there include, teaching drumming, dance, sing-a-longs, and storytelling. We have also provided drumming and drum making services at the Morgan Autism Institute for both the children and adult classes. Akoma Arts currently has Artist in Residence contracts with College Track of East Palo Alto and Montgomery Elementary School (San Jose) and provides weekly drum instruction at both locations. 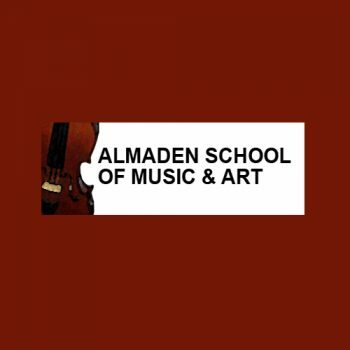 From music to art, Almaden School of Music & Art offers all kinds of music and art classes in San Jose. 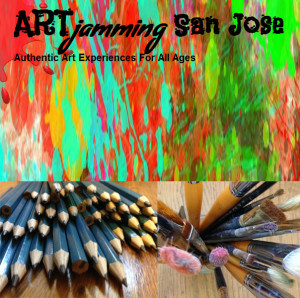 We offer different art & music lessons in San Jose, especially to those who value creativity and expression through music. We are San Jose based music & art school with several reputable professionals as a part of our team. We believe in providing quality lessons to the students and make them understand the art/music from deep inside. Both these fields (art & music) require your souls involved. We offer San Jose music lessons for Piano, Violin, Viola, Voice, Guitar, Drums, Saxophone, Clarinet, Flute, and Electric Bass. 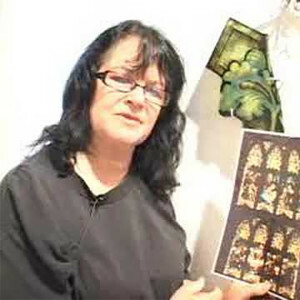 We also offer art classes in San Jose which includes lessons for Water Color, Acrylic, Pastel and Pencil. You can also be a part of French language class by the experts. Our school remains open 7 days a week with ongoing enrollment. We also help students in their CM test preparation and Orchestra audition preparation. As already mentioned, we have a team of professional musicians who provide quality education. 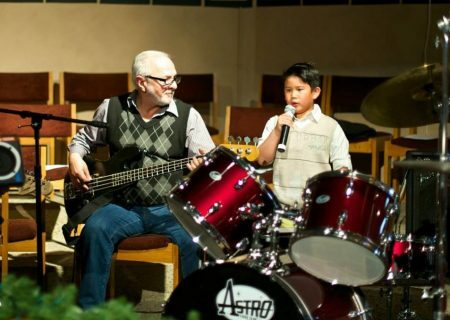 At Almaden School of Music & Art, we welcome the individuals of all ages. Our students range from 3 years old to 74 years young, from beginners to professionals. They come from as far away as Pleasanton and from as close as around the corner. We also give special fee discounts to the students when someone refer enrolls in our art & music school. Our teachers, both art & music, come from all over the world. Many of our music and art instructors are world class artists or performers whose works are on exhibit. They are also teachers, who are dedicated and hardworking. They share their vast knowledge and experience with every student. 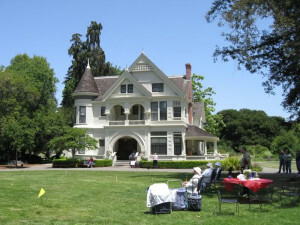 Part of the East Bay Regional Park District and the City of Fremont, this historic site provides a view into what what life was like at the turn of the century. The park also offers cultural events and musical performances. A visit to Ardenwood is a journey back to the time of the Patterson Ranch — a prosperous, 19th century country estate with a beautiful mansion and elaborate Victorian Gardens. Today, the Historic Farm exhibits agricultural practices from the 1870’s to the present, demonstrating the transition from horse-powered to horsepower. Through Ardenwood’s educational programs, visitors can see and participate in many activities common to a turn-of-the-century farm. Weekdays, naturalists provide programs for school classes and other groups by reservation. Non-reservation weekend programs include the planting, tending and harvesting of Ardenwood’s organic crop, farm chore demonstrations, and hands-on experiences for the whole family. Since Ardenwood is a working farm, the daily activities change from season to season so no two visits will be exactly alike. 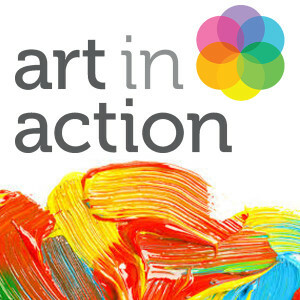 Art in Action is a high-quality, comprehensive visual-arts curriculum for grades K-8. Students learn about art history, art vocabulary and create their own unique works of art. The curriculum is online and interactive and can be used with the latest classroom technology. The program aligns with the Common Core State Standards and National Visual Arts Standards and can be integrated with core classroom subjects. We provide the resources and tools necessary so teachers and volunteers can teach a sequential and engaging visual arts program to students. As part of our service we provide training and support throughout the year. Bring Art in Action to your school and prepare your students for a bright and creative future! We are an art venue for children, teens and adults’ art education. We focus on authentic art experiences, where individual creativity is cultivated. Â Each class contains a few minutes of drawing exercises to develop perceptual skills and stimulate right brain activity, some art history topics and images, and a fun project that develops real art skills. Projects can be 2d in various media and also 3d modelling and sculpting or relief work. Some larger projects (for older age groups)Â run over two weeks or more. We believe that through creativity we strengthen out connection to ourselves and our own inner voice and can then better express who we are. Art makes us happier people! Creativity that is cultivated and allowed to bloom makes our lives richer and enhances our thinking and productivity. Creative problem solving and creative thinking can be used in many structured environments and careers. Adult workshops are run by various Bay area artists and vary continuously, offering a wide range of styles and artistic visions. AXIS Dance Company is highly regarded the world over for its unflagging artistic and educational standards and for paving the way for physically integrated dance within the contemporary dance community. More than any other physically integrated company in the U.S., AXIS Dance Company has been a bridge between contemporary dance and physically integrated dance. Through its model education programs Dance Access and its youth component Dance Access/KIDS!, AXIS offers classes and workshops, school assemblies, presentations, lecture demonstrations and residencies locally and abroad for adults and youth of all abilities. The company of seven dancers with and without disabilities has performed in theaters and dance spaces at its home base in the Bay Area, on tour throughout the U.S., as well as in Germany and Russia. AXIS was featured on KQEDâ€™s SPARK program and KRCBâ€™s One in 5 Stories. AXIS Dance Company is a many-time Isadora Duncan Dance Award (Izzie) winner and was featured on the nationally broadcast FOX television show “So You Think You Can Dance” in 2011 and 2012. 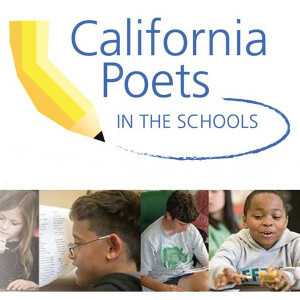 Founded in 1964, California Poets in the Schools is one of the largest literary artists-in-residence programs in the nation. We encourage students throughout California to recognize and celebrate their creativity, intuition, and intellectual curiosity through the creative poetry writing process. We provide students with a multicultural community of published poets, specially trained to bring their experience and love for their craft into the classroom. CPitS serves 25,000 students annually, in hundreds of public and private schools, juvenile halls, after-school programs, hospitals, and other community settings. We also partner with the California Arts Council to broadcast the Poetry Out Loud recitation program to high schools and audiences throughout the state. The basic residency model includes a series of in-class, hands-on poetry writing workshops that encourage literacy skills: writing, reading and oral presentation. Curriculum is tailored to individual teachers needs with a focus on “success for all” young poets. Some schools or classrooms choose to publish poetry anthologies; your visiting poet can help with this. We also strive to publish student work in the wider community. 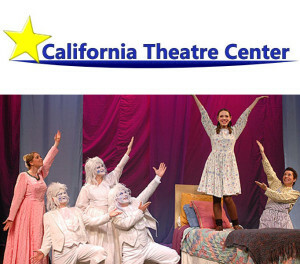 California Theatre Center (CTC) is a professional, not-for-profit theatre company founded in 1976. For over thirty years, CTC’s mission has been to create quality theatrical experiences for youth and families, instill an early appreciation of literature and the fine arts in tomorrow’s artists and citizens, and provide outstanding educational opportunities and training in the theatre arts. Our extensive education program, taught by professional actor-teachers who have college degrees in theatre, full-time employment at CTC, and years of experience in their field, includes CTC’s renowned Summer Theatre Conservatory, day- and week-long workshops and residencies, full-length productions, roles for young actors in CTC’s professional shows, outreaches with local schools, and many other programs. CTC is proud to partner with educators in the Santa Clara Valley and across the West Coast and to provide new opportunities for young people to discover theatre arts. Each year, we present over 400 performances of 11-15 plays expressly for school field trips. CTC also directs productions at Bay Area schools and offers in-class and after-school workshops on a variety of theatre topics. These workshops can be personalized to fit the needs of individual schools and are designed both for schools without theatre departments and also for drama teachers wishing to enhance their current curriculum. Visit www.ctcinc.org for more information about CTC and about our mission to transform lives through outstanding theatre and educational experiences! The IrisÂ and B. Gerald Cantor Center for Visual Arts at Stanford University features collections inÂ twenty-seven galleries, special exhibitions, and stimulating educational programs and events. 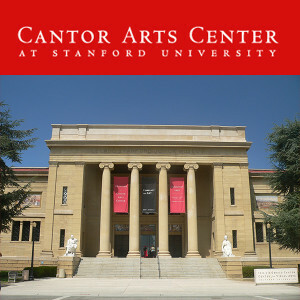 The Cantor Arts Center is a cultural hub for the Peninsula and South Bay region. Collections include The Ancient Americas, The Ancient Mediterranean, Africa, Asia, Oceania, Native America, Europe, The United States, Early Twentieth Century Art,Â and Contemporary Art. The Center also features an exquisite outdoor Auguste Rodin sculpture garden.Â Admission is free. The striking 52,000 square foot purple building, designed by Mexico City-based architect Ricardo Legorreta, signals the purpose of Children’s Discovery Museum to serve the needs of children, families and schools as a center for learning and discovery. Encompassing the broad themes of community, connections and creativity, exhibits invite self-directed, open-ended explorations, while programs provide facilitated, focused, and sustained interactions. Teams of researchers have studied how children learn and how families interact during museum visits, which has helped CDM more effectively to design exhibits. Their findings benefit the greater scientific community and are being used by informal learning experts and scholars. While many children’s museums are just starting to use learning research to inform their exhibits, CDM established its first learning research partnership 16 years ago with UC-Santa Cruz. 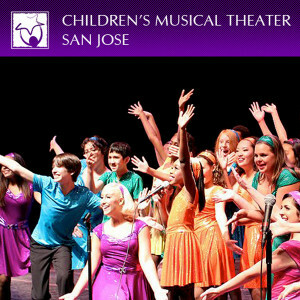 With productions that rival even some of the best local adult theatre, Children’s Musical Theater San Jose (CMT) isn’t just for kids. It is committed to providing excellent, accessible musical theater training for youth, with high-quality performances for families and the entire community. For more than forty years, CMT’s guiding principals have included casting all youth who audition, placing priority on high standards in all areas of production, and providing a positive environment in which young people can build self-esteem. Their programs give children of all ages an opportunity to learn teamwork and communication skills. CMT recognizes and values diversity of racial, ethnic, social and economic background in their audiences and performers. 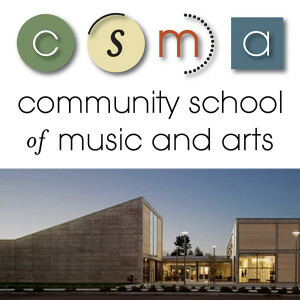 The Community School of Music and Arts (CSMA) is Northern California’s largest non-profit provider of arts education programs. Since 1968, CSMA has been dedicated to making the arts and arts education accessible to all. CSMA offers a wide variety of creative opportunities that reflect the rich, multi-cultural landscape of our local community. CSMA enriches lives with high-quality music and arts education, free concerts, and art exhibitions. Headquartered in Mountain View, CSMA directly serves over 24,000 people of all ages, skill levels, and economic means each year, including over 18,000 students at 50+ schools in San Mateo and Santa Clara Counties. 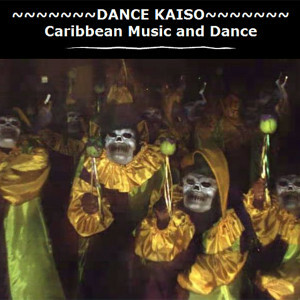 Dance Kaiso, co-founded in 1987 by Wilfred Mark, Robbin Frey, and Val Serrant, gave its first performance for an audience of 13,000 on the River Stage of the 1988 World’s Fair in Brisbane, Australia. We have set both Afro-Caribbean and Caribbean jazz fusion choreography on students and professionals for concerts, recitals, Carnival celebrations, Best Village Competitions, and within the context of plays. The company is available for choreographic commissions, performances, Caribbean drum and dance workshops and residencies. Over the past 20 years, we have appeared on the rosters of Marin Youth-In-Arts, Young Audiences, and Cultural Council for Monterey County. Our K-12 school residencies have been supported by the California Arts Council each year since 1995, and we have taught in court and community schools under the auspices of San Francisco Juvenile Probation Department and Silicon Valleyâ€™s ArtsConnect program. All artists performing or teaching in California schools under the auspices of Dance Kaiso have been fingerprinted in accordance with California State law. TEACHING ARTISTS~~~ WILFRED MARK, a native of Trinidad, joined Les Enfants Dance Company at age fourteen, studying Afro-Caribbean folklore and dance with company director Joyce Kirton and drumming with Rollo Foster. He performed as principal dancer with Trinidad & Tobago Repertory Dance Theatre for eleven years and as dancer/actor with the Derek Walcott Theatre Company. He also taught, directed, and choreographed for the annual Prime Ministerâ€™s Best Village Competitions. Since 1987, Wilfred has worked as Artistic Director, Choreographer, Dancer, and Drummer with Dance Kaiso and has taught on the faculties of San Francisco State, Sonoma State, and Stanford Universities. He also returns to Trinidad each year to perform with Fyzabad Rhythm Section and Fourth Dimension Steel Orchestra. ROBBIN FREY has served as Dancer, Choreographer, Production Manager, Costumer, and Director of Dance Kaiso since 1987. She has a Master’s degree in Dance Ethnology, specializing in African-derived dances of the Caribbean, and has also trained in Martha Graham technique. Prior to 1987, Robbin participated in the paratheatrical experiments of Jerzy Grotowski and company, performed as an actor in Paris with New English Workshop Theatre (NEWT), and collaborated as dancer/choreographer with several composers in New York and in the SF Bay Area, including Karlton Hester (Contemporary Jazz Art Movement) and Eddie Moore (Spaceshuttle Omnibus). She is interested in the intersection of dance, theatre, and the healing arts and has been teaching since 1983. Dance4Health is the collaborative work of health, fitness, and dance professionals whose mission is to provide an opportunity for improved health through dance. By aligning with community resources, Dance4Health targets disadvantaged communities that are at risk for obesity and diabetes in youth. Those who wish to learn the language of music and want to be more expressive, David K’s Music School in San Jose is the best place for them. David K, the owner of this school is very passionate about music and enjoys teaching music lessons to the students in San Jose. At David K’s Music School, We provide professional music instructions for all ages. Our students range from 4 years old to 74 years young, from beginners to professionals. At David K’s Music School, we offer the highest quality music instruction to every student. We have a team of professional musicians who provide quality music education. They give instructions to help you learn a variety of instruments and voice. We are open 7 days a week and offer ongoing enrollment. We also help students in CM Test Preparation & Orchestra Audition Preparation. We offer music lessons for piano, violin, guitar, flute, recorder, saxophone & clarinet. Those who wish to take guitar classes in San Jose; we have an experienced guitar instructor to help you on your way to learning the guitar. For clarinet and saxophone lessons in San Jose, we have reputed saxophone and clarinet instructors who give private lessons that are customized to fulfill the individual needs of every student, from novice to advanced. Our piano and flute lessons in San Jose are the best as we teach our students about the perfection by providing them an environment that fosters musical inspiration and enriches experiences. 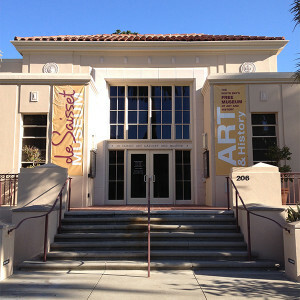 The de Saisset Museum at Santa Clara University is the South Bay’s free museum of art and history. The museum was founded adjacent to Mission Santa Clara de Asis on the SCU campus in 1955. It is currently one of three museums in the South Bay accredited by the American Association of Museums. Operated by the University, the de Saisset is member-supported and privately funded. The de Saisset presents twelve to fifteen exhibitions every year that highlight the diversity of our community, address issues of contemporary society, showcase the work of recognized and under-recognized artists, and emphasize the strengths of our permanent collection. The museum also serves as the caretaker of the University’s California History Collection, which is on permanent display. The de Saisset Museum’s permanent collection houses more than 11,000 objects collected in six main areas: California History, Mission-era liturgical vestments, decorative arts, works on paper and photography, painting and sculpture, and new media. The collection includes works from the Renaissance, Baroque, Rococo, 19th century, and modern periods as well as pieces by contemporary artists. We offer a variety of educational programs including lectures, panel discussions, workshops and family days. In addition, the museum provides docent tours of all of our exhibitions during the regular academic year. â€¢ Fill the void left by cutting of art and dance programs. â€¢ Match at-risk youth young adult artist mentors. â€¢ Build self confidence in youth through performance and exhibition. 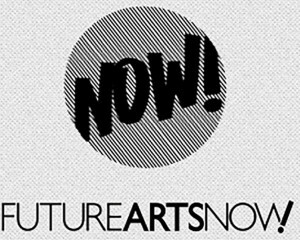 â€¢ Expose youth to career paths in the arts. 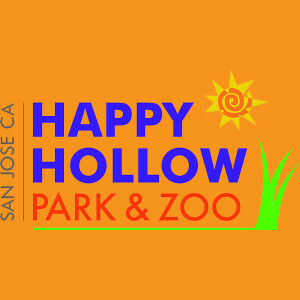 Happy Hollow Park & Zoo in San Jose provides an affordable, sustainable, conservation-centered outdoor adventure for families with children. Happy Hollow has exciting new adventures for all ages that challenge imagination and learning through parallel play and exploration. Stand watch as a Park Ranger at the Redwood Lookout, or discover the Zoologist in your child as they observe the eating habits of the Fossa, Madagascarâ€™s top predator. Whether youâ€™re taking your own children on a summer outing or booking a field trip for your students, with Happy Hollow new opportunities and adventures await you at every turn. Happy Hollow’s Zoo is an AZA-Accredited Institution that participates in conservation and propagation of rare and endangered species while, at the same time, offering children and adults the opportunity to see wondrous animals such as the ruffed lemur and the jaguar. The Zoo also provides hands-on experience with many animals along with education that is necessary to secure the future of endangered species. There isÂ also an animal contact area featuring alpacas, goats, guinea pigs and miniature horses. 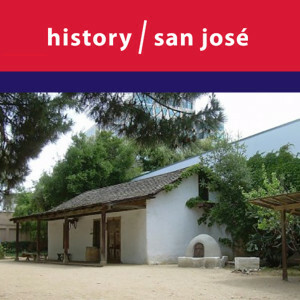 History San JosÃ©Â involves diverse audiences in exploring the varieties of human experience that contribute to the continuing history ofÂ San JosÃ© and the Santa Clara Valley.Â History San JosÃ© cares for over half a million objects that collectively help tell the story of the Santa Clara Valley.Â History San JosÃ© manages two sites (History Park in Kelley Park as well as the Peralta AdobeÂ and Fallon House in downtown San JosÃ©) plus a collection of over 500,000 historical artifacts from Santa Clara Valley. The India Community Center is the largest Indian-American community center in North America with a 40,000 square foot location in Milpitas.Â It offers over 120 programs for the community, including Bollywood dance, table tennis, Hindi and other language classes, GMAT, karaoke, instrumental,Â Parent and Me classes, Senior programs, camp, Carrom, cooking, and much more. It also offers free legal, medical, and career clinics. 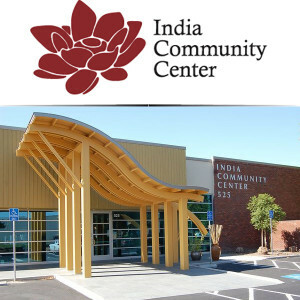 India Community Center featuresÂ a modern, full-scale fitness center — managed by the renowned Club One fitness franchise — complete withÂ over sixty cardio and weight machines, personal trainers, spa, sauna, salon, and over forty-five fitness classes including Tai-Chi, Bollywood Aerobics, yoga, belly dancing and more. In addition, its facilities include a state-of-the-art banquet center and an auditorium which includes the latest multimedia equipment and large screen plasma screens for easier stage viewing.Â It also offers wedding and corporate packages, and a selection of catering and menu packages. MACLA/Movimiento de Arte y Cultura Latino Americana is an inclusive contemporary arts space grounded in the Chicano/Latino experience that incubates new visual, literary and performance art in order to engage people in civic dialogue and community transformation. 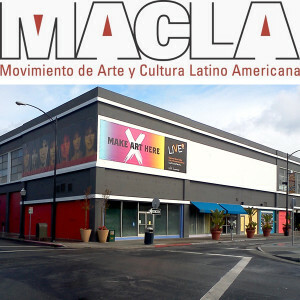 Founded in 1989 as the result of a broad community mobilization in the City of San Jose and nationwide on behalf of multicultural arts, MACLA has promoted, since its inception, a vision of arts programming as a vehicle for civic dialogue and social equity. A hybrid urban arts space located in downtown San Jose and rooted in the Chicano/Latino experience, it intersects many communities, cultures, and aesthetic approaches. From this genesis in advocacy and activism, MACLA has evolved into a community-based arts organization identified in 2003 by Cultural Initiatives Silicon Valley as Santa Clara Countyâ€™s â€œmost practiced and mature site of cultural-citizenship-building through participatory arts.â€ More than 30,000 children, youth, young adults, families and community residents participate in the fifty programs MACLA produces each year in four core program tracts.Â These are Visual Arts, Performance and Literary Arts, Youth Arts Education, and Community Development Through the Arts. The cross-pollination of Latino and non-Latino audiences has been a distinctive feature of MACLA since its inception. The patrons, audiences, and participants are 70% Latino and 30% non-Latino. A large part of the programs are geared towards creating opportunities for interaction between traditional audiences and new art forms and emerging artists. 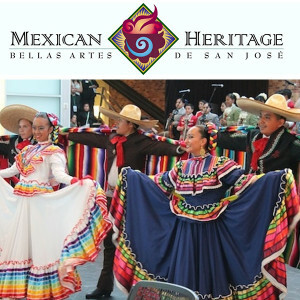 Mexican Heritage Corporation serves the Silicon Valley and Northern California by presenting and advancing Mexican and multicultural performing arts. It has been presenting, producing and promoting the dance, music and visual arts traditions of Mexico for over twenty-five years, creating opportunities for individuals and communities to celebrate, share, and sustain the vitality of Mexico’s ethnic and traditional cultural arts and multicultural arts within the region. Its work promotes the importance of cultural heritage for strengthening ethnic identity and community.